Hiddush - How is this Passover different? Homepage / Hiddush News / Hiddush Positions / How is this Passover different? The unholy alliance between religion and state perpetuates and empowers religious coercion and inequality for secular Jews and non-Orthodox Jews; and it undermines the foundations of democracy and rule of law in Israel. Challenges remain in many areas, and in others there are have been achievements. It is important that we be aware of these, that we know that we have the power to change this situation, and that we understand that we are not free to disengage ourselves from this critical struggle. In order to succeed, there is a need for close cooperation between Israelis and Diaspora Jewish communities, both because Israel and its future are important to us all, and also because this unfulfilled promise of freedom of religion and pluralism also hurts Diaspora Jewry and the future of its alliance with the Jewish democratic State of Israel. 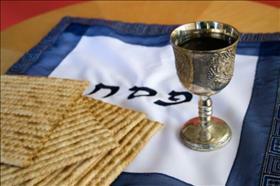 Therefore, wherever we may be celebrating the Seder, whether in Israel or outside it, we must see ourselves as if we left Egypt and renew our commitment to freedom in its broadest sense, both Jewish and universal; and we must understand that today's struggle for freedom includes this pivotal battle for religious freedom in Israel. Throughout Israel's history there have always been yeshiva students who studied in yeshivas and did not serve in the IDF or seek gainful employment to provide for their families. However, this year, thanks to the unholy alliance of religion and state in Israel, the number of yeshiva students living off of Israeli taxpayers increased. This year, the gap between the government's IDF recruitment targets and the number of yeshiva students who enlisted increased. And, this year, the number of yeshiva students who integrated into the workforce, contributed in some capacity to the Israeli economy, and supported their families decreased. In 2015, the employment rate of ultra-Orthodox men aged 25-64 was 53.8%. This last year, 2017, instead of growing as the government declared it did, it decreased to only 50.9%. The gap between the number of recruits among yeshiva students the state's recruitment goals is increasing. In three years, the gap increased from 1.4% to 11%, and this is based upon the very absurd assumption that all those who are counted as ultra-Orthodox for the sake of this calculation are really ultra-Orthodox. 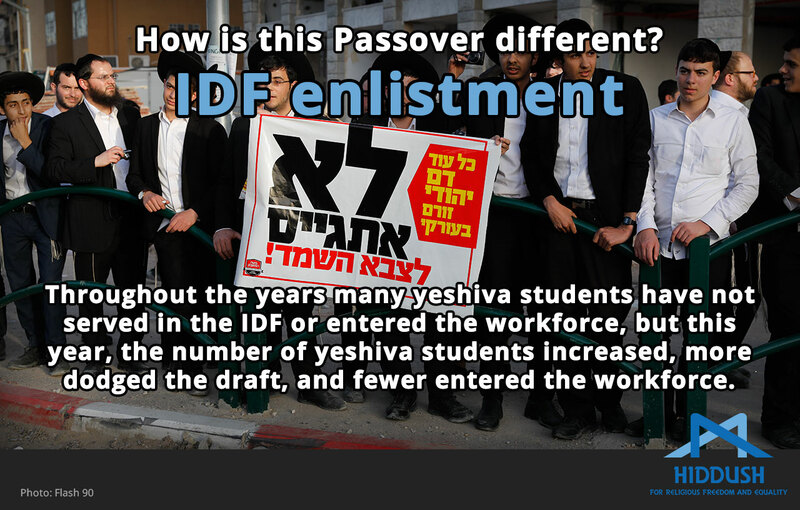 In 2013, the government's enlistment target stood at 2,000, but the actual enlistment totaled 1,972 yeshiva students. In 2016, the target was 3,200, but only 2,850 enlisted. Israel has placed a value on Torah study and supported yeshivas since its very founding. However, this last year, contrary the will of the overwhelming majority of the Israeli public, the budget for yeshivas from state coffers reached an all-time high! The ultra-Orthodox Knesset Members succeeded in raising the 2019 budget for yeshivas to 1.5 billion shekels, which marks an increase of 15% from the previous year. This is an unprecedented achievement for the ultra-Orthodox, given that during the previous Coalition Government, when MK Yair Lapid (Yesh Atid party) was Finance Minister, the budget for yeshivas had been reduced to only half a billion shekels. 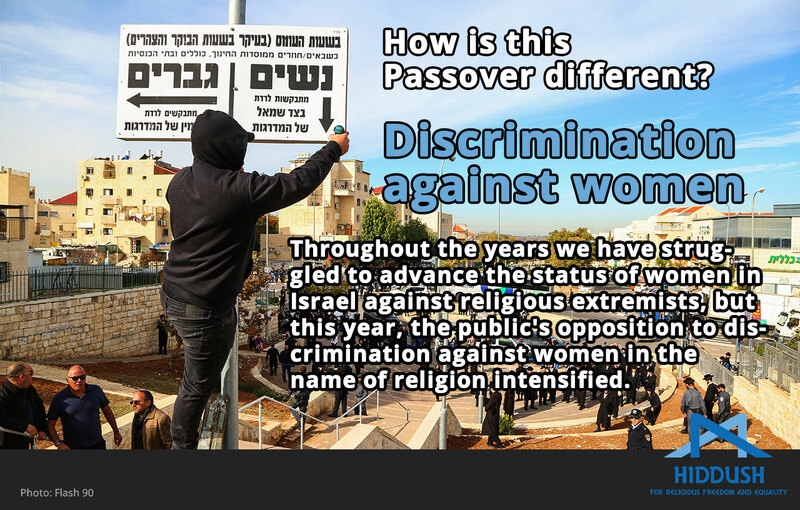 The battle for the equal status of women in Israeli society has been going on since before the founding of the state due to the pressure of the religious establishment, which opposes this principle. However, this last year, public support for gender equality increased, as did public opposition to religiously based discrimination. The IDF enlistment of Orthodox women peaked (930 in 2010, compared to 2,700 in 2017); and there was a sharp backlash against the rabbis who preach against women's enlistment and promote the violation of women's rights and dignities. 88% of the Jewish Israeli public supports the enlistment of women in the IDF and rejects the Chief Rabbinate's position against it. There was a record high level of public support for the demand that all political parties, including the ultra-Orthodox, should allow women to be party members and to be placed on the parties' lists of political candidates for the Knesset and local municipalities (72%, including most of the voters for the non-Haredi Coalition parties). 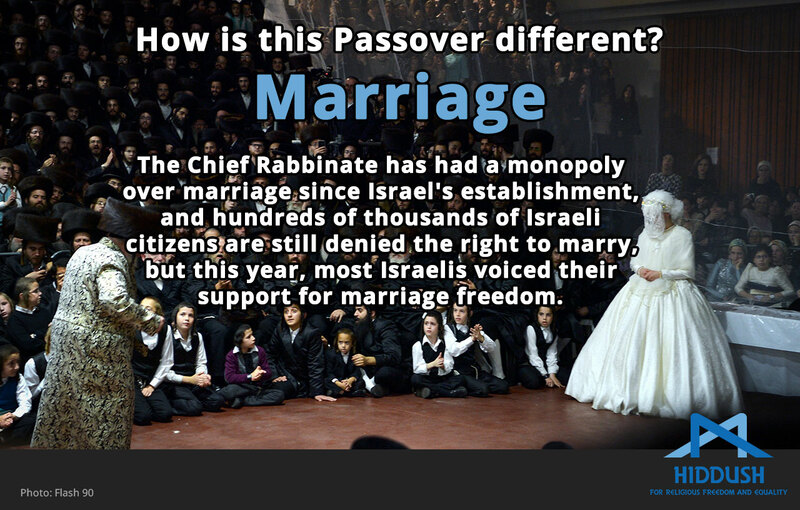 Throughout the years, the Orthodox Chief Rabbinate has always had a monopoly over the marriage and divorce of Jews in Israel. However, this last year, there was an all-time record high number of Israeli citizens (~700,000) who cannot legally get married in Israel at all, and the public's support for more legal marriage options increased. For the first time, a majority of the Jewish public expressed its preference to not get married via the Chief Rabbinate (55%), and among secular Jewish Israelis - 81%!